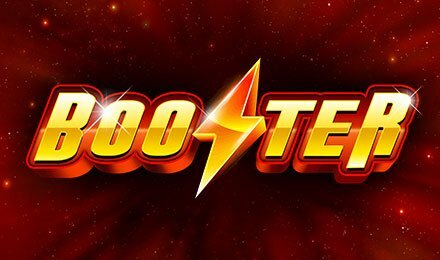 Booster slots is a creation of ISoftBet and it will surely take you into a classic era. Themed on the classic fruit slots, this slot game comes with 3 reels and 25 paylines. Even if the game has a retro feel, it is packed with winnings, thanks to the 25 paylines. The game provider has also added some top features to the game, which can only make you win bigger. Want to discover this game? You can try it at Wicked Jackpots on either a tablet, a laptop or a mobile phone. When the game is being played, the various symbols you will see are 7s, Stars and Bars. Despite the classic aspect, this slot game consists of the auto-play tab. By making use of this option, you can place up to 1000 games to be played on their own, while you can take care of other tasks.. Bet Levels: This game does not include the Bet Level Tab. Amount of Paylines Selection: The 25 paylines are fixed on the game, and cannot be changed. Coin Values: For each spin, you can select any stake which range from £0.25 to £50.00. On this online slot machine, you will not find any wilds but there are bonus symbols, which can make you a winner. There is a top bonus round on this game and it can award massive prizes.